Rosie first came to City, University of London when she attended a WP Business Masterclass at 16 years old. She then went on to study at City and gained an LLB (Hons) degree in Law. During a placement as part of her course, she was able gain key administrative skills by working as a part-time clerk at a law firm in Old Street. She also gained volunteering experience by teaching English to children living in the favelas for 6 weeks in the South of Brazil. 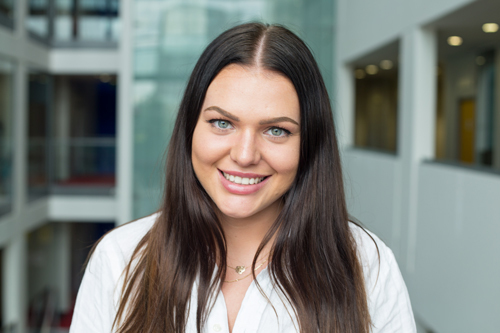 She has a real passion for helping those less fortunate break down barriers into higher education, and for this reason she also worked as a Widening Participation Ambassador during her three year course. On completing her degree she spent six months working in New York as a Compliance Analyst and later returned to work at City as a Projects Assistant for the Widening Participation and Student Development team.